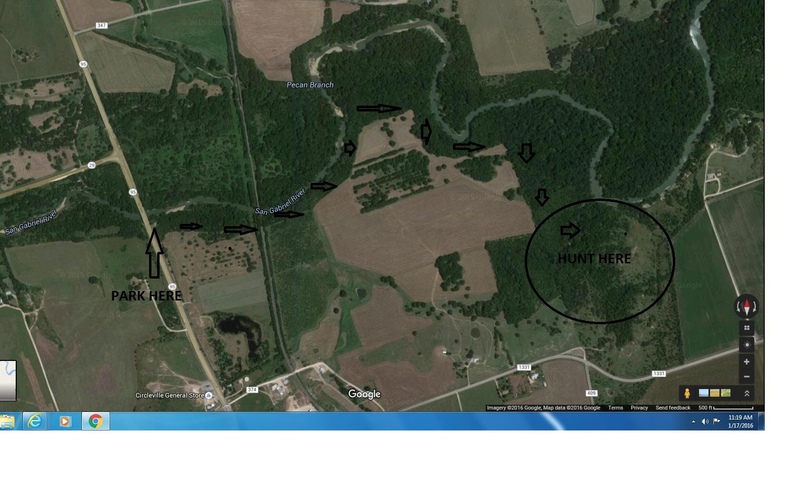 Hunt In: Granger WMA and central Texas area and beyond!!! I've killed 2 in the past 2 months but one of the new guys said he saw like 40 up in there last week...I been shooting mine way out on the lake! Well I’m here and ur were right I should’ve taken the shot something told me that’s a Hog but I didn’t then a quick second it stands up so I moved in front of a bush so he stalls knowing I’m there. I couldn’t shoot thru the bush then he bolts across from me hauling *** and this guy is the biggest I’ve ever seen with a lighter brown across his back and dark /Black the rest of the body looking like at least 250 or more. I shoot but missed I chased but he was way too fast!!! ****!!!! Most excitement I’ve had here on Granger. Thanks again bro my rookie *** should of shot he looked just like a log !! ****... good try brother sooo many fallin trees and logs out there everthing looks like a hog or vis versa .... I question myself all the time.. I have shot many an arrow into logs at Granger thinking they were pigs; sometimes they are. I just chalk it up the cost of hunting pigs at Granger. I swear there was a log on Sunday that had ears and a snout! Started stalking it but after looking at it through the binos for a while I figured out it wasn't a pig. 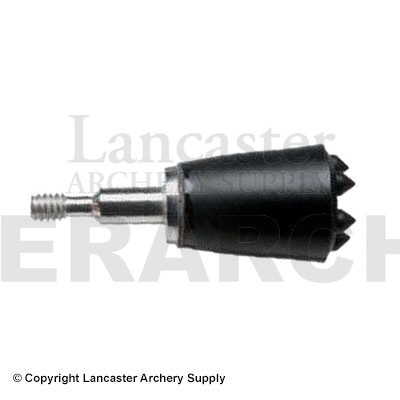 Back to the discussion about broadheads, do most people use fixed blades? Also do you all use compounds or crossbows? I usually use a compound for deer but feel like my odds would be better with a crossbow. Really want to get my first pig out of the way. Last question (for now), when you spook pigs up is it worth it to try to follow them or do they blow out of the area completely? Actually, most people use mechanicals, most people I see hunting anyway. Broadheads are a very personal thing; I only use fixed blade. There are pros and cons to each type and you must weigh those and make up your own mind. I only use a "vertical" bow, no crossbows for me. But several hunters at Granger use crossbows and have great success; nothing wrong with either one as long as it is legal, safe and you are proficient with it. Following pigs depends on the pigs. When I blow pigs I will wait and see if they stop a short distance away; sometimes they will stop within range if you haven't blown them out too hard. I will follow if they aren't running for the hills; if they are, I go find another sounder to hunt up. It happens to me too! And I learn from my mistakes. I remember sharing this to somebody already. He knows who he is. I got 6-7 rabbits at Sore Finger in the last 3 months but they have been getting harder to find. I don't want to take anyone's prized spots but, maybe someone has noticed rabbits on their way to hogs? Thanks man. I am hoping to take my daughter one day and I think I would have a hard time stalking any hogs with her. Heading out to granger this afternoon to fill pig pipe and see what's been going on the past few weeks in my absence! Is your pig pipe kind of long chained to a tree painted camo? Has anyone tried squirrel hunting granger been thinking of trying it out around the primitive boat launch. Was thinking maybe going monday morning since im off. I love squirrel and rabbit. I want to taste a rabbit this year i don’t care from where, but I’m a rookie, anyone have a good link or two on some do’s and donts for rabbit hunting? I went out to gate 8 (Pecan Grove) on Friday (it was fairly foggy) and walked around for a couple hours, couldn't find any rabbits (saw a lot of hogs at one point though). How can you tell when to slow down and try to actually find rabbits? Also have you noticed if they are near the water/creeks or more dry land? Out in the open or under trees? Since I am using a bow it's a lot easier shot if they aren't running first. I also saw a ton of spent shells as I walked so I might not have gotten far enough back, maybe just a mile from the parking spot. Last edited by jbord39; 02-25-2018 at 08:32 PM. It’s all about stealth got to catch them when they’re laying down I’ve always taking shots at them while they’re sleeping sometimes I’ve been fooled they do look like a log from a distance but sometimes you’ll keep on walking and you’ll pass them. average distance sometimes 15-20 yard shot or less. The blood tracking on these hogs (as I have learned) is a complete sonofabitch. Out of the 8 hogs I have shot I have only found 3. When you gut them, compare the heart/lung/liver volume to the gut volume. It's insane, there is probably 5-8x gut as their is real vitals. I am learning the hard way not to take "hopeful" shots because they barely bleed, so you really need them to just die right there. I had one which the arrow hit the shoulder stop about 500 yards from the shot, roll around in the dirt until the arrow snapped, and then disappear with the broadhead. You can sneak up a lot closer than you would think when they are feeding or rooting around. I have gotten busted between 20-30yds a couple times but if the wind is good you can sometimes just sneak right up to them once they start feeding. If you hear them grunting or squealing it is the best because they are more focused and making their own noise at that point. Also smell will give you away more than sight (I had a hog at 25 yards see me, grunt at me, then go back to eating) so when I started I used a little smoke-puffer to check the wind direction.